The temperatures dipped a bit the last few days so I felt like making a comforting soup to warm me up. Since I still had tomatoes to use up, I was thinking of tomato basil soup. 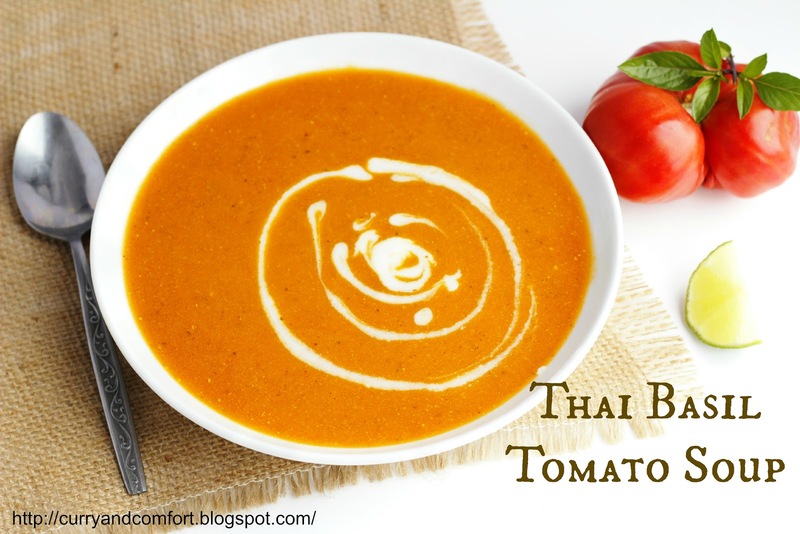 Of course I love to put a twist on things so I decided to make it a spicy Thai style tomato basil soup. I enjoyed this soup so much during the "tasting" process that I sat down to eat it before I even thought of taking my pictures. When my kids came home from school they saw the soup pot on the stove and asked for soup to be their after school snack. I wasn't sure if they would enjoy the spicy flavors, but I guess after requests for seconds it was a hit for them too. lime wedges at the table for anyone who wants a squeeze of it. 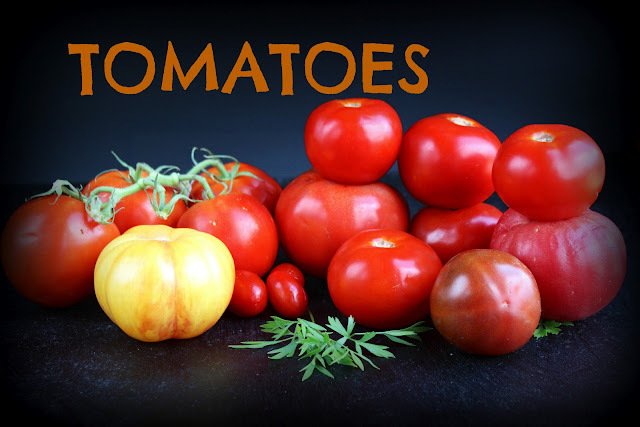 Tip: To peel skin off tomatoes mark an "x" on the bottom of tomatoes with a sharp knife just to pierce the skin. 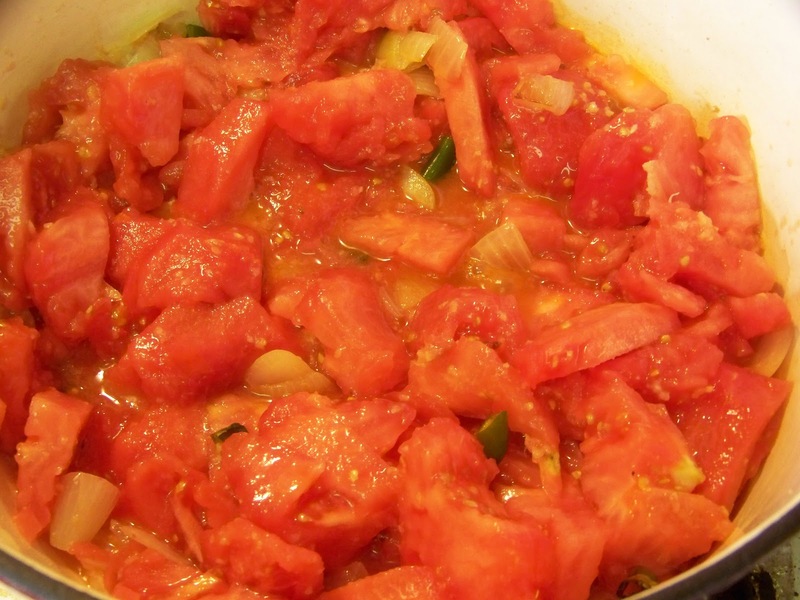 Next, put tomatoes into boiling water for a few seconds, then plunge them into a bowl of iced water. 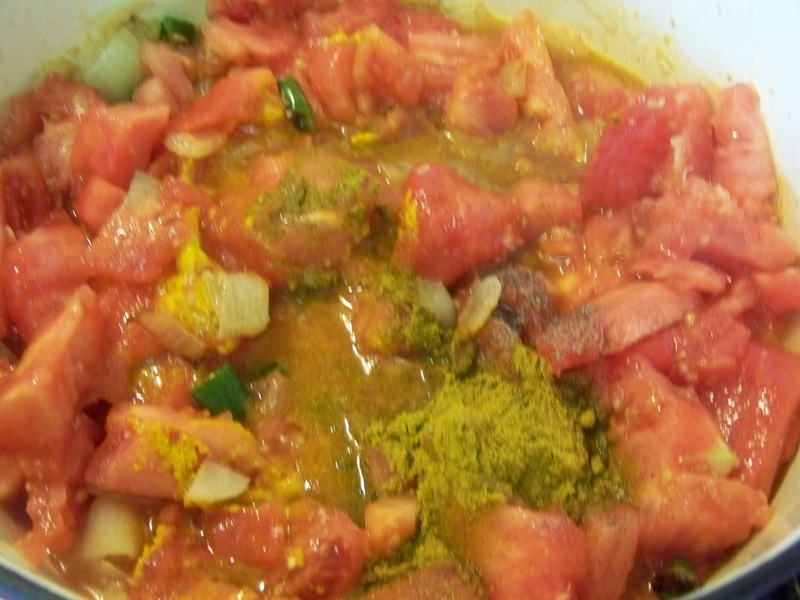 This will stop the tomato from cooking and further loosen the skin. Remove the cooled tomato and peel away the skin. 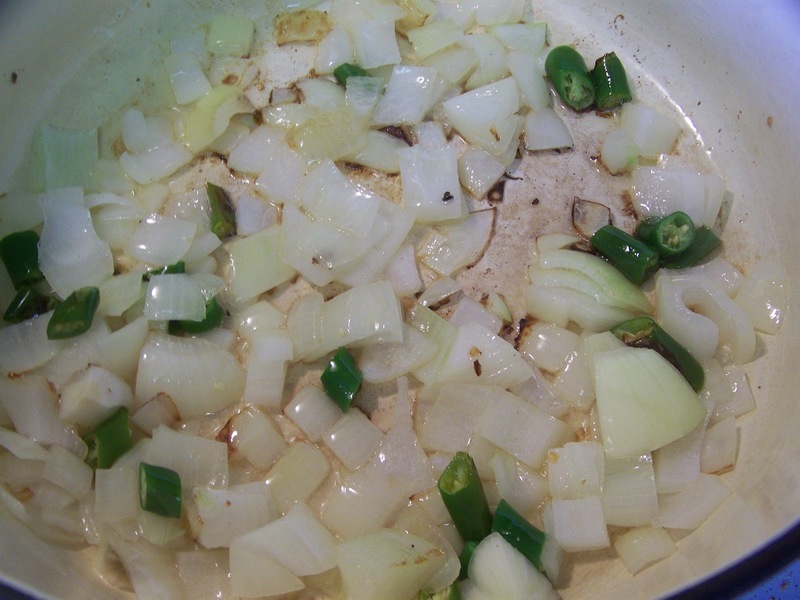 On medium high heat, add 2 Tbs of canola oil in a large soup pot. Add onion and chilies to fry for 2-3 minutes Then add garlic and ginger to saute for 1 minute. Next add the chopped tomatoes and cook for 5 minutes. Then add curry powder, fish sauce, sugar and red chili flakes. 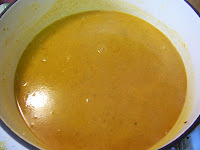 Next add 4 cups of chicken stock and bring to a rapid simmer for 20 minutes. 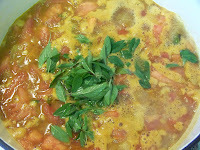 Then add Thai Basil leaves and coconut milk and cook for 5 more minutes. Take an immersion blender or food processor and blend until soup is fully smooth. Then pour soup through a wire mesh strainer to separate out any small pieces left behind and make soup creamy. Taste for seasoning and serve hot. Enjoy. Amazing Ramona! Looks beyond delicious! Yum! My tomatoes are not quite finished yet (California for ya). But I am going to bookmark this recipe. What a nice healthy after school snack! Your kids are blessed! 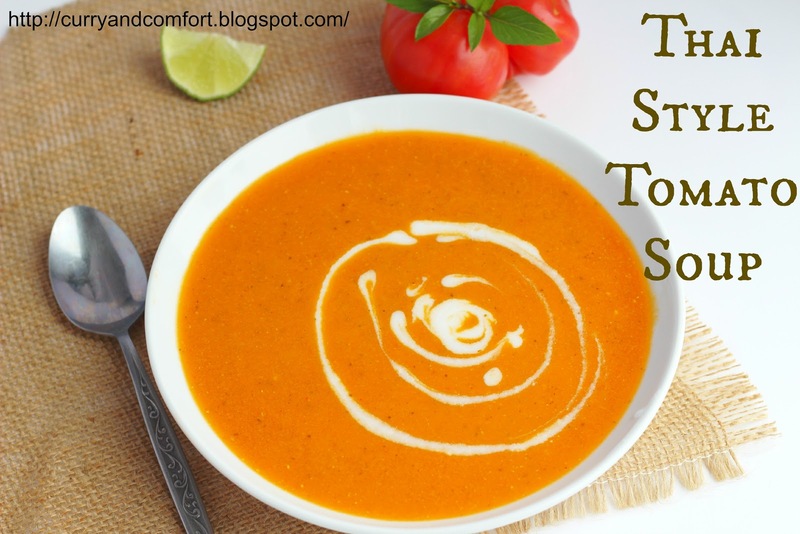 Tomato soup is my absolute fave and this spicy version is calling me. Glad you got a great deal on those tomatoes! Simple bowl of this yummy soul is perfect to beat the cold chilly wind and rain..:)) Lovely..
Ramona, you must have read my mind. I have been thinking about something like this lately, but your recipe sounds a lot better than the one that was brewing in my head. 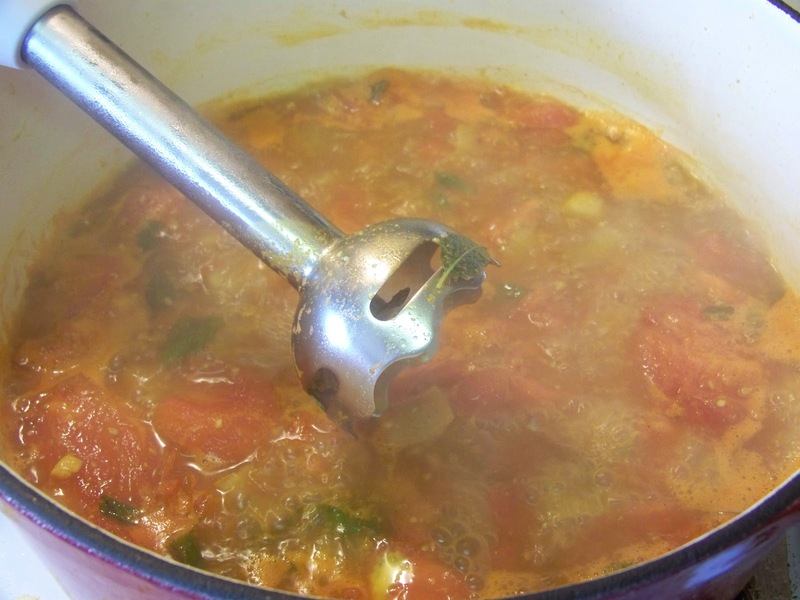 I still have fresh tomatoes in the garden and they will be so happy in your delicious looking soup. You are SO talented. What a gift to the food blogging world! Yummy & creamy soup!! Perfect for this chill climate!!! It's been so cold here too, I've been in full on soup mode! This one is next on my must-make list. It looks so warm and comforting! We must have been dreaming the same thoughts as I just made tomato soup too. I love your unique twist on this. It looks quite yummy! aaah wisj i could grab that whole bowl..
Oh wow! What a gorgeous soup! This looks beyond delicious, Ramona! What a beautiful, beautiful soup! So simple as well. Thai basil is my favorite basil so 1/2 cup in this soup sounds delicious! Good for the kids for asking for it as a snack! It's supposed to be rainy and cool today. I'll need a HUGE bowl of this! Gorgeous photos too! My children got sick over the weekend and I need to make more soup dishes. They love tomatoes and this sounds wonderful. How you make the cream so beautiful? Looks yum!!! Would the soup b nice with noodles and chicken? Yes I'm making it without the chillies tho ! Im making it for a noodle bar so people can choose a different sauce than ones with chillies ! So people will have a good choice with beef , prawns or tofu or chicken ! Im still not sure if a tomato and basil sauce will be better made like a sweet and sour sauce with vinegar and lits of sugar ! How would you make it! How many does this serve and what kind of tomatoes did you use?